The red tail of the train is visible from my window in the third car, snaking behind as we leave tunnels and round the sharper of valley curves. They aren’t all proper tunnels, actually, in the sense of holes cut into the rock. Many of them are essentially long, wooden sheds built overtop of the tracks at higher elevations to protect the trains from avalanches and rockslides alike. 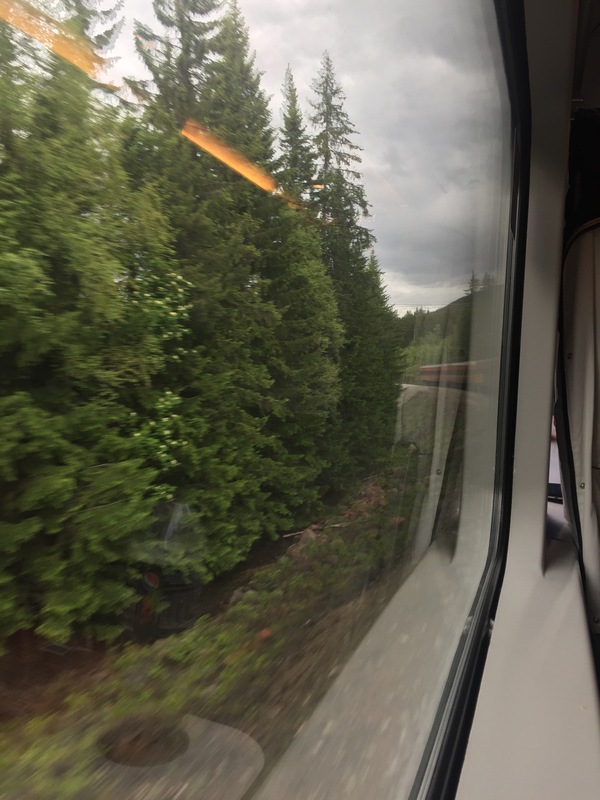 We’re in the last bit of our seventh hour and, though the trip has been rife with glorious views of mountains, waterfalls, rivers, and unending greenery, I’m ready to move from seat 24 – a window seat. The latter half – the downhill half of the trek – reminds me of Switzerland in its scale. It’s much steeper than was the eastern slope of the mountain, which has brought concomitantly more extreme scenery. The rivers at this juncture – about 25 miles east of Bergen – are wide and long enough to seem peaceful and large as lakes, but they’re assuredly drainages into the sea. I’m sure their waters are frigid. The slopes nearer the top of the mountain range were covered in snow. Houses with docks built into the waters are not uncommon sights along the route. Many homes dot the hillsides as they do in Switzerland, but these have a distinctly modern feel – it reminds me more of the Cascade Mountains in Washington for its human footprint. Suspended footbridges along rock walls and one large modern suspended bridge for cars appear for an instant in the window and disappear again in the shadow of another tunnel or tunnel-asterisk. My ears pop regularly as we plunge into and out of the dark spaces. The train is quiet, full, and most of the passengers are beyond childhood years. I haven’t read a page of my book today, but I made up for it last night being stuck awake until nearly 5am, learning all sorts of interesting things about the FBI from the book. My patented, fool-proof, anti-jetlag plan of action only works if I actually get to sleep the second night of the trip. I managed to stay awake all day on day one before sleeping nearly seventeen hours when I gave up the struggle sometime after 7pm that day. On the second night, I found myself awake at midnight and wondering “Just how light is it outside?” My view was obscured a bit by the building next door. I went outside. It was confusing. The same people who frequent the city streets at midnight in many cities were out. But it was daylight. Mothers and fathers with carriages strolled along the walks. Disorienting. Remember that you can visit the directory of this summer’s posts here, and there are plenty of other travel and essay posts scattered about elsewhere (hopefully easily accessible via the menus). Click around and stay a while! 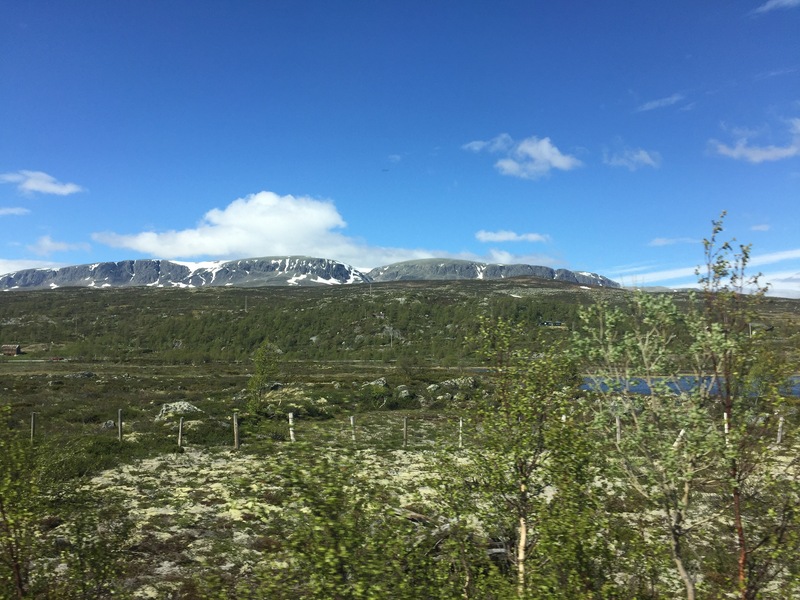 This entry was posted in Travelogue, Travelogue 2017, Travels and tagged bergen, europe, europe by rail, midnight sun, northern lattitudes, norway, oslo, train travel, trains, travel, traveling. Bookmark the permalink.